If you frequently travel to different countries, then it’s important to have the best worldwide travel insurance for your needs. Given the particular challenges that come with being a global citizen, it’s best to have a strategy that minimizes the difficulties that you’ll encounter during your travels. A good way to do that is getting excellent worldwide travel insurance so you can rest assured that when things go wrong, you have solid assistance and can smoothly make your way out of the mess. Whether you’re a digital nomad traversing South America or Asia or a Nomad Capitalist splitting time between a handful of countries, chances are that you will need some kind of travel insurance to keep up with your international affairs. However, what is the best worldwide travel insurance for nomads? If you frequently travel around the world, then unpredictability is likely a major factor in your lifestyle. All too often, things outside of your control can easily have a corrosive effect on your plans. Although thinking about all the things that can go wrong seems tiresome, the reality is that bad things can happen even when you’re at home. When you add a new environment, a foreign language, and different laws and social customs, the risks can multiply. No matter how careful you are, it’s possible to get sick or injured, have your laptop break or get stolen, have your flight canceled, or book a hotel in an area that unexpectedly gets ravaged by a natural disaster or political unrest before you arrive. Therefore, a bit of foresight and a backup plan can help to put your mind at ease, and worldwide travel insurance provides that peace of mind because it offers handy solutions for a wide variety of emergencies. 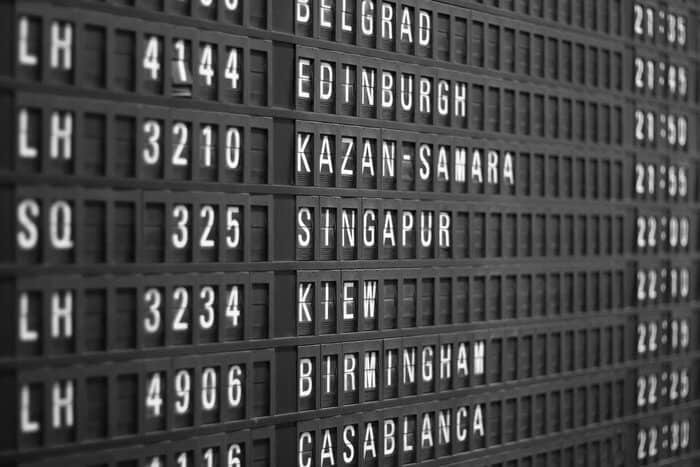 What Should the Best Worldwide Travel Insurance Cover? Once you’ve decided that you want the protection of worldwide travel insurance, how do you choose the best travel insurance, and how do you make sure that your travel insurance covers you for all foreseeable emergencies at a reasonable price? Narrowing down your options can be a complex and overwhelming process, so knowing what to look for when shopping around is essential. The first step is to understand what the best worldwide travel insurance should cover and which types of coverage are most important for you personally. Although travel insurance plans differ from one provider to another, there are five essential coverage options that nearly every high-quality travel insurance plan will include. With this information in mind, it’s important to know that the practice of seducing potential clients with generous offers and disclosing limits in fine print is relatively widespread, and at a first glance, things may seem greater than they actually are. Having a thorough look at each provider’s policy will reveal the specifics of each policy’s coverage, revealing how substantial the coverage actually is. Policies that skimp in any major coverage option are not worth your money. Since one company may cover you for some things while the next one might for others, it’s up to you to decide the most important things that you want to be covered for. This may be the most important policy in your travel insurance plan. Even if you’re insured in your home country, health care plans do not always cover you abroad, and you are solely responsible for the bill whenever you get sick or injured outside of your home country. Needless to say, this can easily get extremely expensive. The care that you may need can go from a prescription for pneumonia to a serious procedure in case of an accident, and it’s impossible to anticipate the cost of medical care in all of the foreign countries that you may want to visit. While health care is cheap in some countries, you may get a serious disease or end up in an accident in areas with expensive health care, so you can wind up with medical bills of tens or even hundreds of thousands of dollars. This is why choosing the best international travel insurance is crucial. Good providers offer at least $50,000 minimum coverage, and the best ones give at least $100,000, which are perfectly reasonable amounts for the most common medical emergencies. While you may be tempted to get less, you take the risk of being left in the lurch during a serious situation. A comprehensive medical coverage plan should include hospital room and board, intensive care, and local ambulance costs, among others. However, if you have an adventurous streak and see yourself taking up sports or adventure activities like rock climbing, scuba diving, or snorkeling, you must know that these are not typically included in standard emergency medical care plans. Most companies treat adventure sports and activities as a separate coverage item, which comes at an additional cost. Furthermore, some of these extra policies only include basic outdoor activities while others cover extreme sports as well, so make sure to choose the policy that best serves your needs. Standard medical coverage includes all local treatment required by your condition, but if the necessity of medical evacuation comes up, it can lead to an exponential increase in medical costs that are well beyond the maximum coverage of the standard plan. A typical scenario for medical evacuation is when you need to be flown home with medical assistance on the flight or airlifted in a helicopter to a medical facility after getting injured in a remote area. If the doctors at the initial hospital believe that they do not have the appropriate means to take care of your medical emergency, they can request medical evacuation from your insurance company’s medical adviser. Due to the high costs involved, medical evacuation is a separate policy in your travel insurance plan. Similarly, repatriation is also costly, so it goes along with medical evacuation on the insurance plan. Most good providers offer up to $300,000 USD in medical evacuation and repatriation coverage. Coverage of $100,000 is the minimum acceptable amount. Evacuation coverage is rarely a concern if you’re traveling to large urban centers in developed countries. If you plan on exploring remote, underdeveloped areas or you plan to set up a base for a longer period in countries with less than stellar health care, good evacuation coverage is essential. Otherwise, it’s just cheaper to get coverage for individual trips. When you’re a nomad, your baggage is your life-support, and the thought of losing your things is absolutely daunting. Thankfully, the best travel insurance policies offer reimbursements for your lost, stolen, or damaged personal items. Coverage plans may vary, but the best ones include coverage for possessions such as documents, jewelry, and electronics in addition to inexpensive items like clothing or toiletries. Most providers, however, have a rather small limit of up to $500 or $1000 in their basic coverage plan. If you have expensive camera kits or other costly items and want them protected, you can buy higher coverage for these individual items as a supplement. As a traveler, you know that many external factors can end up completely ruining your travel plans. From protests and strife in the country you plan to visit to a travel company whose services you paid for going bankrupt, there are countless ways to lose money if you don’t have solid travel insurance. The best travel insurance providers offer reimbursements in such cases along with coverage for cancellations of pre-paid, non-refundable hotel bookings and flights in the event you are forced to cut your trip short for certain reasons. Coverage for transportation costs in case of an emergency in the family, like the death or illness of a loved one, is also included. When you are looking to purchase worldwide travel insurance, you must carefully read through the details of the policy and check whether it also covers cancellations in case of terrorist acts, natural disasters, or any other type of political, social, and natural crisis. If you’re calling your travel insurance provider from abroad, you most likely have an emergency, and the last thing you want is to be put on hold indefinitely or be told to call back later. Customer service is a major factor to consider when it comes to selecting a travel insurance company because you want to be sure that the claim process will not be excruciating and unnecessarily long. As a nomad having an emergency, you want fast and straightforward help, so choosing a travel insurance provider that offers top-notch 24/7 global assistance is as important as having wide coverage. If you’re an adventurous type who likes to go snorkeling, rock climbing, or motorcycle riding, then you may need additional travel insurance coverage. What Do Worldwide Travel Insurance Policies Not Cover? 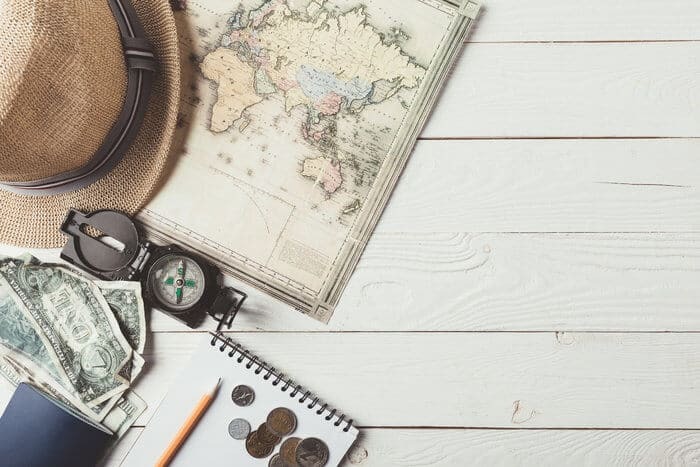 Although the best worldwide travel insurance policies are fairly comprehensive, there are certain things that even top-tier policies most likely won’t cover. Accidents that occur during extreme adventure activities such as bungee jumping, paragliding or similar – unless you’ve paid extra to have them as an additional item on your policy. Accidents caused by alcohol or drug consumption. Loss or damage to possessions due to carelessness. Accidents resulted from reckless behavior, depending on how your travel insurance provider defines that. Theft, if your possessions were left unattended. There is a significant distinction between travel insurance policies and other insurance policies that you already have. If your travel insurance is primary, that means it will replace the medical insurance that you have in your home country, which is important because it makes the claim and reimbursement processes faster. Most travel insurance policies, however, are not primary because they count on you being insured in your home country, where they can transport you if long-term care is required. Some nomads may prefer international primary health insurance since this does not tie them up to their home country, so this is something to consider when shopping around. 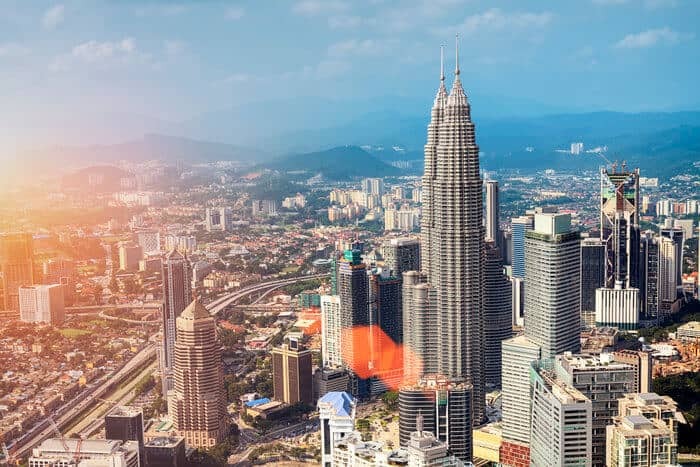 Based on our research here at Nomad Capitalist, the following companies provide the best worldwide travel insurance policies on the market today. Built by a former nomad for today’s nomads, World Nomads has rapidly outgrown more established companies, garnering serious credibility. Recommended by top names in the travel industry such as Lonely Planet, National Geographic, and Rough Guides, World Nomads provides a travel insurance policy specifically designed to meet the needs of worldwide short-term and long-term travelers and adventure seekers. Highly innovative from the moment they emerged on the market, World Nomads imposed a great model in the worldwide travel insurance market, which has now been successfully replicated in various degrees by other companies. Their core standard package includes coverage for key areas: medical emergencies, medical evacuation, baggage claims, theft of personal items and electronics (under special conditions), trip cancellation coverage, assault, catastrophic events, and repatriation coverage. You can process all the claims online and the claim processing time is short, which is very convenient as a nomad always on the road. You can purchase or extend the policy indefinitely online. Although they don’t have the cheapest plans on the market, they provide great coverage at a reasonable price. They have a coverage plan for adventure sports and activities available for the most adventurous of us. The Explorer package covers a comprehensive list of activities, broken down by country to make your search easier when looking for the activities you’re most interested in. Before you sign up for an activity, it’s easy to verify on the official website if the activity is covered. Their client interface is friendly and easy to navigate, and the staff is quick to respond to inquiries. The policy is very inclusive, catering to people from 150 countries. Major tour and travel companies have chosen World Nomads as their default travel insurance. There is no limit on the length of time you can be insured, which makes it an excellent choice for long-term travelers and nomads, especially since other travel insurance policies do not work the same way. They don’t offer primary health insurance, which means you still need to have health care insurance in your home country. If you’re a nomad with no permanent residence and thus without a home where you can get health insurance, this may be a deal breaker. World Nomads works with different local insurance providers, and depending on your country of residence, the terms of the policy, along with prices, limits, and benefits, can vary greatly. It’s essential to read the full policy for your country carefully to make sure that this is the best option for you. The Standard package does not offer coverage for activities such as scuba diving or snorkeling, which means that you have to shell out money for the more expensive Explorer plan if you’re interested in such activities. They do not cover motorcycle and scooter accidents unless you hold a valid international motorbike license. If you’re traveling to Southeast Asia, motorcycles and scooters will probably be the main way you’ll move around, and the rate of accidents in the region is shockingly high. If you plan to travel there, then this is an important aspect to keep in mind. The travel insurance policy only covers a single trip home, so if you like to return home occasionally to visit friends and family, this may also be a deal breaker. The policy comes with age restrictions. IMG is a reputable, powerful company that provides comprehensive packages at some of the most attractive prices on the market. A look at their policy plans suggests that IMG should be the top choice for the most adventurous nomads who are drawn to remote, underdeveloped, or exotic locations. Their iTravelInsured Travel LX Insurance is certainly the best policy to get if you know you’re an adventurer at heart and want peace of mind while doing your favorite activities in faraway corners of the planet. Another important package you may want to consider from their offer is the Medical Insurance for Expatriates & Global Citizens, which is designed to serve globally mobile people and people who spend large amounts of time overseas. This plan, however, focuses exclusively on health care, without providing any coverage for other aspects related to traveling. The LX plan is tailored for adventurous activities, and it’s the best option for thrill-seekers interested in helicopter tours, scuba diving excursions, rock climbing, or any other activity that puts you at risk of getting stranded or injured. Coverage for search and rescue stands at $10,000. They offer extensive and generous medical coverage. The limit for medical coverage is an outstanding $500,000, so you don’t have to live with anxiety in the event of an illness or injury that can rack up a large bill. Additionally, the limit for medical evacuation is $1 million. The company provides great customer service, and all inquiries by phone or live chat get prompt answers. The staff is patient and helpful. By comparison to other providers, it is much cheaper to extend or renew your policy, and this is highly attractive from the perspective of a long-term traveler. Client complaints about slow claims handling and excessive rigor when it comes to policy wording are common. By comparison to other important providers, the company has the longest time requirements before you can claim reimbursement for trip cancellation or baggage delay, which can turn out to be highly inconvenient. The travel insurance packages offer little opportunity for customization. For example, you cannot add coverage for adventure sports to the SE plan, so you have to stick to LX even if you’re only interested in basic outdoor activities. If you want medical coverage as well as coverage for things like lost luggage, trip cancellation, or anything travel-related, you need to purchase two different packages. The travel health insurance for global citizens and nomads is not primary health insurance, so you still need health insurance in your home country as well. You cannot return to your home country for more than 14 days. Otherwise, your insurance policy will be terminated. If you’re a U.S. citizen, you’re not allowed to return to your home country at all. They don’t support direct billing. This implies that you pay all medical bills out of your savings and then wait for the claim to be processed before you get the reimbursement. John Hancock Insurance Agency offers a comprehensive coverage package for solo travelers and nomads, taking great care to assist them in moments when unexpected costs may put a serious strain on their travel plans and adventures. They’re a respectable company with great customer reviews, which suggests that you can hardly go wrong with them. This international travel insurance company offers the core coverage that any respectable travel insurer provides, including medical coverage, 24/7 global assistance, and assistance during travel-related emergencies, such as bad weather, missed connections, illness of you or a family member, strikes, protests, and any other sort of unexpected event that can impact your plans. The contract is easy to read and has no confusing wording that would make it easy for the company to nitpick your claim. The specifics of each type of coverage are clearly outlined with additional clarifications to make the policy as simple to navigate as possible. With this straightforward approach to the contract terms, you will know exactly what to expect in any circumstances. The medical coverage packages are perfectly designed to meet all budgets. The cheapest plan, Bronze, offers $50,000 for medical emergencies and $250,000 for medical evacuation. There are two possible upgrades, Silver and Gold, where the amounts increase significantly. Excellent customer service means there’s something less to worry when you’re facing an emergency while alone in a foreign country, and John Hancock has friendly and patient staff with a thorough knowledge of your contract that can assist you immediately. The only drawback of John Hancock is that the company provides no coverage for adventurous activities and “extreme” sports, but this is an inconvenience only if these kinds of activities are very common in your schedule. In this case, John Hancock is not for you. If you’re only interested, however, in doing adventure activities on occasion, it may be cheaper anyway to get insurance for individual trips. This company is a reputable insurance provider with a long tradition of great services, offering numerous packages able to serve people with different needs, aspirations, and travel plans. For the past three years, Allianz Global Assistance has won the title of “Best Insurance Provider” in Travel Weekly’s Readers Choice Awards, which recognizes the excellent service the company provides to travelers. Since nomads travel for both business and leisure, they can surely appreciate the range of benefits and coverage that Allianz provides. The company offers coverage for up to a year, which may not seem great for a nomad, but it’s more than most other travel insurers provide – many of them set their limit at three months. If you’re gallivanting around the world, this may be the best option out there with the OneTrip Premier Plan offering all the coverage that a nomad might need. If you’re a nomad with a home base, Allianz Global Assistance also offers annual plans that provide continuous coverage for international trips over the course of a year, and this multi-trip plan may be the most convenient solution for you. The AllTrips Executive Plan is more expensive, but the annual fee gives you reliable coverage and peace of mind for a whole year. The medical coverage is generous with a maximum of coverage for emergency evacuation of $2 million. Naturally, the company offers coverage for all major areas of interest to a long-term traveler. The coverage for stolen luggage is up to $500 while the trip delay coverage is $150 per day for airplane delays due to bad weather, natural catastrophes, or other critical situations. Customer service can range from mediocre to OK, but the company has shown signs of improvement over time. Although they provide broad flexibility in regards to the length of the trips, the packages do not offer the possibility of customization. Common features, such canceling for any reason, are not available here. The insurer does not offer coverage for adventurous activities and “extreme” sports, which means it is only a great option for nomads who prefer a casual, relaxing traveling style. Being one of the most acclaimed insurance providers, Allianz Global Assistance obviously has pricier plans, which may deter some nomads from considering them. The terms of the policy depend on your country of residence, so you must always check the specifics of your particular situation. The company offers coverage for trip interruption caused by medical reasons or natural disasters. In case of a tour, cruise, airline, or hotel cancellation, you receive no reimbursement. This international travel insurance is not available everywhere. You must purchase the insurance before departing from your home country, and this is something that most nomads might not be comfortable with. Although it’s relatively new on the market, Safety Wing has quickly risen up as a favorite insurance provider among many digital nomads, long-term travelers, and freelancers who are always on the go. An important reason for their popularity is that they offer primary health insurance, and since many nomads no longer have residency in their home country, this is an excellent alternative for them. Looking at the offer, it is evident that Safety Wing is trying to become a prime choice for location-independent people and provide them with the safety net that they’ve lost after giving up their residency. The name of their policy, Digital Nomad Travel Insurance, speaks for itself. 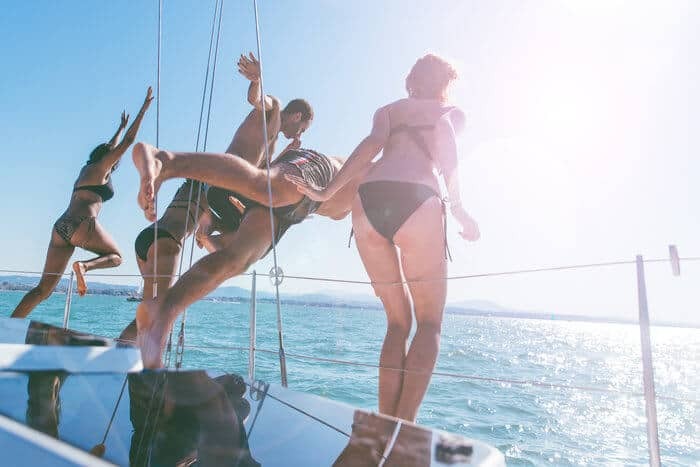 If you worry about going with such a young company, you have no reason to because they are backed up by Tokio Marine – a top global insurance company. The main aspect that will attract nomads to Safety Wing is that you don’t have to be a resident of your home country to purchase the insurance. For nomads with no permanent home, this is a huge plus. Safety Wing is very economically priced, and people aged under 39 will benefit the most from inexpensive plans. The plan is a great value for your money considering how many features it includes that are specifically useful to nomads and how much more expensive its main competitors are. The company offers the possibility to pay monthly, which is great for freelancers and entrepreneurs whose income varies from month to month. One of the most attractive features of the client interface is the auto-renewal option, which functions in the same way as with any subscription service by offering you the possibility to cancel whenever you want. In addition, your policy has no end date, but you can set one if you want. Their website is user-friendly, and the contract gives you a clear idea of how everything works. Your insurance covers you within the borders of your home country as well, and you are allowed a home visit of up to 30 days. The situation is different for US citizens, who should check out the specific conditions for their home country. Besides standard medical coverage, the policy includes all the core benefits of a reputable travel insurance provider, such as trip interruption and cancellation coverage, evacuation costs in cases of natural catastrophes or political unrest, and baggage claims, among many others. The medical coverage includes private hospitals and doctors, which is a great advantage when you’re traveling in developing countries or underdeveloped areas where public health care is subpar. If you’re interested in short-term coverage, you will benefit from the same affordable price you would pay on a monthly or annual basis. If you already have health insurance in your home country and you spend most of your time there, you can use this to your advantage and pay only for the part of the year when you’re traveling elsewhere. A month or a year of coverage may end up costing the same. The company supports direct billing to a large number of hospitals and clinics from its global network. The company offers coverage of up to $250,000, which may be fine for most nomads, except for those who engage in activities with a high degree of risk. Activities with a high risk of injuries, such as trekking at high altitudes, football, scuba diving, and ice hockey, are not included. Extremely adventurous nomads may have to look elsewhere. Motorbike and scooter accidents are covered only if you hold a valid license. For nomads who are residents of the United Kingdom and various other European countries, True Traveller is an excellent global travel insurance provider. The policy was designed to meet the needs of travelers who love adventure and don’t shy away from interesting or challenging activities, sports, and tours. Founded in London in the late 1980s, the company has developed a comprehensive insurance scheme devoted to serving nomads and travelers who one week may want to hike a peak in the Himalayas and then travel overland through the Sahara the next. The insurance plan covers an extensive range of adventure activities. It’s possible to purchase the policy while already on the road. They offer the standard core coverage, including 24/7 global medical assistance. The standard plan can be customized according to your needs, so you can be sure that you’re covered for the activities that interest you and for situations that may occur in the regions you plan to travel to. The basic plans are affordable, and you can enjoy discounts if you pre-pay for annual coverage. There are no limits on home visits. The policy is restricted to residents of the European Economic Area (EEA). Even if you’re a citizen of a country in the EEA, if you’re a nomad with no residence or a residence outside of the EEA, you will not qualify for the True Traveller insurance. Although affordable, the basic plans offer limited coverage, and you may find yourself in the position of having to buy supplements that will increase the costs substantially. You are not covered during your home visits. As of yet, they do not offer a direct billing feature. The medical coverage option does not include private hospitals and doctors unless public health care is unavailable. If the countries you’re traveling to are notorious for bad public health care, this may be a cause of concern. Wherever you go, the best travel insurance for you will depend on your needs and favorite activities. What’s the Best Worldwide Travel Insurance for You? This guide is your introduction to the best worldwide travel insurance for nomads, but it is up to you now to do some thorough research and check which of the options presented above are in line with your travel plans and your budget, and you should know how your residency status may affect the type of policy you can purchase. 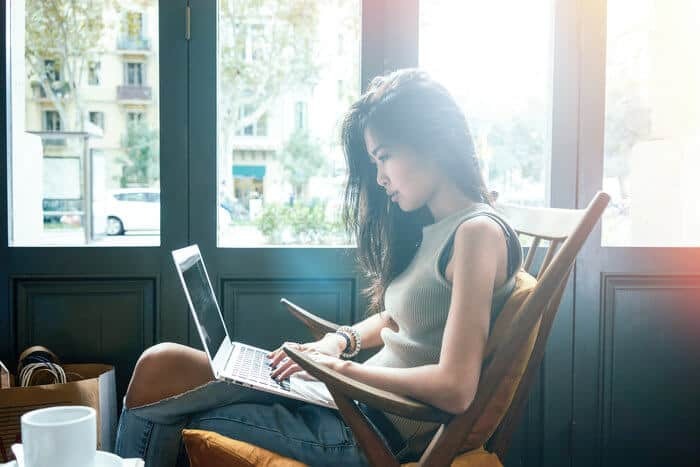 The good news is more companies realize that digital nomads, freelancers, and long-term travelers need special services tailored to their situation, and they have been adapting their packages to satisfy this emerging base of potential clients. Before purchasing an insurance policy, you must carefully read all the documents that they provide as this is where you’ll find an exhaustive list of all situations and contexts in which you can benefit from coverage. If you’re interested in a type of coverage and you cannot find it on the list, then you may have the option of purchasing it as an additional item. However, that is not always the case. As you make your purchasing decision, make a mental list of your future destinations because where you want to go is very important in determining which insurance policy will offer you the maximum of security. Some countries or regions may be safer than your home country, but the opposite can easily be true as well. Having an idea about what your risk in each particular destination is will be helpful in narrowing down the things you want to be covered for. Read the policies with extra attention even if it may take some time. Next, you should contact the travel insurance’s representatives before purchasing and clarify with them any doubts and questions you may have. This way, you will also get a feel of how responsive and knowledgeable the customer service team is. If they cannot help you with some pre-purchase questions, you should not count on them during an emergency. It’s impossible to say which plan is most advantageous to you from a financial perspective because this depends on a large number of variables that you have to explore on your own. The length of your stay in various countries, the places you travel to, your country of residence, and your favorite hobbies are all important factors that decide the cost. After purchasing your insurance, you should always have the contact info of your insurance provider within easy reach at any moment. While all of the companies we listed offer great insurance plans, it seems that each of them targets a specific category of travelers. Digital nomads, freelancers, and long-term travelers will find it extremely convenient to work with Safety Wing, which provides them with a bunch of unique options on the market that are specifically designed to meet their needs as mobile citizens of the world. For adventurous spirits, on the other hand, World Nomads is their best bet because of the vast range of activities covered by the policy. Well-to-do nomads who prefer premium services from reputable brands recognized worldwide and aren’t deterred from paying more for those premium services will find that Allianz Global Assistance and John Hancock Insurance Agency are excellent choices. Adventure-loving European nomads can trust that True Traveller will provide them with exceptional assistance. At the end of the day, the best policy for you will depend on your needs, so you should do your due diligence to find out which travel insurance policy is best for you. If you’re in parts of the world where public healthcare is poor, they won’t put you in a public hospital. But in places where it’s good, you may be in one. The best hospitals in both the UK (Guy’s Hospital) and Australia (Royal Melbourne) are public hospitals.